Winemaker Dave (pictured above with his Riedel Horn Decanter—which really does make noise, but not music) was interviewed by phone in mid-September by journalist Susan Allen of the Fruit Grower Report for to find out a little more about Bells Up Winery. And, interestingly, although this part of their conversation didn’t make it into any broadcast, it turns out that when Susan lived in Newberg 20 years ago, she and her family owned a home on Bell Road—the charming stone house four properties to the west of ours. Small world! For the Fruit Grower Report, I’m Susan Allen. 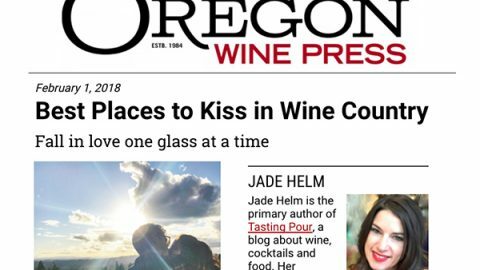 There is a common as the thread I travel the Northwest and meet winemakers; I invariably hear “it’s been a dream”. 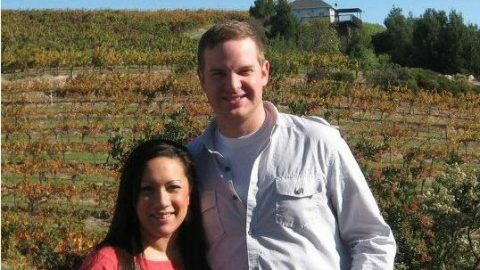 Unlike so many of us in our daily grind, winemaking seems a fulfillment, even an artistic endeavor and it’s always fun for me to hear how a winery got its name or the inspiration for a label. 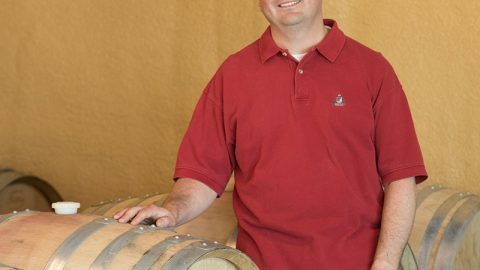 For Dave Specter, owner of one of Newberg’s newest micro-boutique wineries—making approximately 400 cases annually of classically-styled Oregon Pinot Noir, it was his French horn, really. SPECTER: If you have seen our logo there is a French horn on right on it, the reason for that is that I used to be a French Horn player. Until we ended up with the property, I didn’t really know how we would tie in the music theme, but I knew we wanted to do it somehow. SPECTER: I realized exactly how we would tie it in. The bell of the French horn is the large end where all the sound comes out. 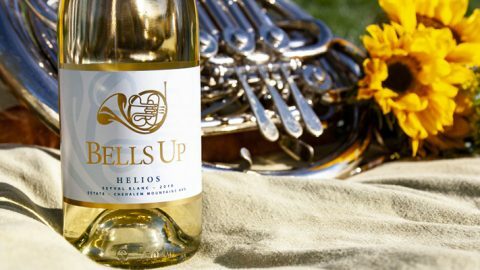 There are certain moments in the classical music world where French horn players get to raise their bells into the air and create this really dramatic moment and that’s what “Bells Up “ refers to. With all the work and effort we put into getting this winery up and running all the years of blood sweat and tears it just kind of felt like it was the culmination of all that effort and work. We call it our “Bells Up” moment. In many instances, the passion of a winemaker can be defined not only by what’s in a bottle but what’s on it. 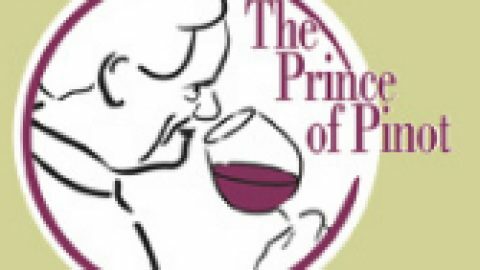 The Prince of Pinot reviews Bells Up Winery’s current wine lineup! 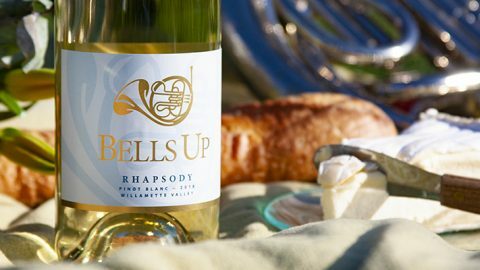 Bells Up's 2014 Titan included in list showcasing "Brilliance of Oregon Pinot Noir"Yes way 2016 rosé! A quick recap of our Prelude rosé of pinot noir harvest.